Carol Mullinax and her four children had done what they could by themselves to get through the damage from the thousand-year rains and flooding that started in October. But when the rural Berkeley County family had to abandon their home, they received assistance from faith-based and other agencies in the tri-county area whose use of online coordination of disaster response has made them national pacesetters. Mullinax and her family in Cross got food and a place to stay until their doublewide mobile home was dry enough to move back into and they could start cleanup and repairs. Their needs were logged into the CharityTracker system hosted by Trident United Way. The system lets an agency operate a secure registry of people who come to it in need, keep track of the aid it gives, coordinate help with other agencies when a client’s need is beyond its capacity and spot duplication of services or if there are clients who might abuse their generosity. “I am impressed with the way in which the Charleston community and other communities have been using that type of software,” said Dr. Katherine Rowan, an expert in crisis communication and a professor at George Mason University in Fairfax, Va.
“It looks like the software and effective use of it is allowing use of resources and anticipating needs that we simply wouldn’t see without hard work and coordination, and this impressive software,” she said. How Mullinax and her family were helped marks a major change from the scatter-shot approach that still characterizes much of the nation’s volunteer-based responses to disaster. While major organizations such as the American Red Cross have the staff and software to coordinate their work, smaller groups and individual volunteers generally do what they can with what they have as far as they can see the need. Cases like this are where online coordination shines, said L. Ron Pringle, executive director of Tricounty Family Ministries, a large ecumenical organization that provides food, shelter and other assistance to people in need. “An organization out in rural communities was able to post information,” he said. “Any organization that’s able to meet that need can contact them. If they need volunteers, they can ask for that, and volunteers are dispatched,” Pringle said. Mullinax first tried to stay in her home, even though the flooding was so bad that her 16-year-old twin daughters had to wear garbage bags up to their thighs just to walk to the school bus stop. But after November’s rains added to the damage, and her leaking roof began to make the electrical wiring wet, the family had to leave home. Mullinax visited Cross Elementary School, where her two younger children attend. Amy Forte, a counselor with the dropout-prevention nonprofit Communities in Schools, contacted Trident United Way, which had previous data on Mullinax in CharityTracker. Trident United Way provided funds for Tricounty Ministries as it allocated money for temporary housing, so the family got temporary places to stay, with this aid and food aid tracked in the database. The Mullinax family was far from alone in needing help. At Cordesville First Baptist Church in Moncks Corner, Anne Turner volunteers with the church’s food pantry. Soon after the flooding started, the church faced a needs crisis. Pastor Alan Bagwell “had people stranded knocking on the door, so we had people sleeping in the church,” she said. Because flood victims who came to the food pantry were entered into the database, they could get help well beyond what her small pantry could offer. Using a shared program has another advantage because it discourages fraud and abuse of the system, Turner said. For instance, if a person gets groceries from one food pantry one day and shows up the next day at another, a staffer at the second pantry will see the record of the earlier visit. “We will tell them, ‘If you went to a food pantry yesterday, today is not an emergency,’” she said. Trident United Way has more than 300 agencies and faith-based groups using CharityTracker. In addition to clients picked up directly from these member organizations, people in need who call Trident United Way’s 2-1-1 call center could be directed to agencies that use CharityTracker. The 2-1-1 call center alone fielded more than 2,800 requests from the tri-county area for help in the 30 days after the storm hit, Trident United Way reported. Trident United Way had experience using the system, which it brought to the community about eight years ago as a shared point at which agencies could work together on clients’ non-disaster needs, said Cathy Easley, director of integrated community systems for the social services agency. When disaster struck, staffers at Trident United Way and the agencies already knew how to coordinate using the software, and were ready to go. “When we realized how bad it was, part of what CharityTracker has is a bulletin feature, and we began sending bulletins saying please let us know what were people needing and what were the agencies needing to serve them,’’ Easley said. Rowan warns that coastal areas can expect to use online disaster response again. The United Way of Rutherford and Cannon Counties is hosting free information sessions for CharityTracker, a shared case management and communications tool for local agencies in Rutherford and Cannon counties. The United Way has already hosted five information sessions for leaders in the nonprofit, faith-based, foundation, civic, academia, and government sectors to learn more about the free software. CharityTracker can be used to gather and report statistical data for resource development, strategic planning, measuring outcomes, reducing duplication and disaster relief, as well as securely communicate needs directly to the organizations that have the resources to provide services. CharityTracker streamlines client intake and provides accurate records to assist agencies in serving clients more efficiently and effectively. Josh Markham, Missions Director of First United Methodist Church, said, "Charity Tracker is a concept I and others that assist in the community have been wanting for years. What has been missing is a cohesive network to launch this program. United Way is providing that. Now agencies will be able to communicate effectively and work together. As more agencies use this tool, residents in our area will receive lasting help. Together we can accomplish so much more. United indeed." Fall is here once again. Despite some sweltering temperatures, making it feel like summer may never end, all of the other telltale signs have arrived. Children finally have settled into their new classrooms. Football season has kicked off at area universities. And the annual United Way campaign has begun. Granted, the annual United Way fundraising campaign doesn’t attract as much attention as “back-to-school” sales and tailgating. However, that doesn’t mean it’s not important. In fact, money raised by United Way of Lee County over the next few months will be used by about 18 Lee County nonprofits to help our friends and neighbors when they need it most. That includes helping women escape domestic violence, providing essential medical care for low-income neighbors who can’t afford health insurance, allowing people with disabilities to experience some freedom and independence, caring for homeless families breaking away from poverty, helping youth develop strong study habits and important leadership skills — the list goes on. Even better, money raised during the fall campaign doesn’t just help United Way partner agencies. It strengthens nonprofits across our entire community. Corporate contributions made during the annual campaign pay for community-wide projects like VolunteerLee.com and Charity Tracker. VolunteerLee.com is a local website connecting volunteers with schools, churches and other nonprofits needing their help. Any organization can get involved by registering on the website and posting their needs. It’s quick and easy, and hundreds of people already have responded. CharityTracker is a secure, online service allowing local groups to coordinate what they provide to people requesting help. It has been a godsend for local nonprofits. Now that local agencies can avoid giving the same food or financial assistance to the same people, even more families can be served. Thanks to CharityTracker, 70 more Lee County children had something to unwrap at Christmas — and that was just during the initial trial run. But the success of any United Way campaign rests on individual donations — employees making a pledge during their workplace campaign and families making donations large and small. And those smaller donations do matter. They matter a lot, because local nonprofits can tap into food banks, corporate matching programs and other special arrangements that stretch dollars further than you can imagine. Want some examples? About $50 dollars will purchase 275 pounds of food to feed struggling families, $36 dollars will send two books per month to an underprivileged child for the entire year and $25 will provide emergency communication between a military family and their deployed loved one. At a time when every dollar counts, it’s important to contribute to groups that use donations wisely. When Forbes published a list of “five all-star charities” three years ago, United Way Worldwide made that select list. The magazine noted that United Way affiliates are governed by independent review boards, audits and limits on marketing tactics. That’s exactly what happens here with United Way of Lee County. Every agency requesting financial assistance is thoroughly evaluated by community volunteers, and their recommendations are forwarded to a board with representatives from local governments, churches, companies and nonprofits. You probably know many of them; they’re listed as part of the leadership team on the United Way website. So, as your children head out to school this week or you turn on the big game, don’t forget that there’s more happening this fall. The United Way annual campaign is happening all around, and this is your perfect opportunity to learn more about the great things happening in our community and to help struggling neighbors reach their goals. United Way of Lee County will roll out a new database later this month as a way to connect local nonprofits and churches to better assist those in need by keeping more detailed records on clients and eliminating redundancies. United Way of Lee County will hold an information session about Charity Tracker, a database that connects local charities to maximize their efficiency, from 10:30-11:30 a.m. on Jan. 27 at Trinity Lutheran Church at 525 Carthage St. in Sanford. United Way Executive Director Jan Hayes said any Lee County nonprofit or church interested in the program is invited to attend, but she encouraged an RSVP to United Way at (919) 776-5823 beforehand. As administrators of the site, United Way has been piloting Charity Tracker with two of its partner agencies, the Salvation Army of Lee County and Christians United Outreach Center, primarily testing the program during the holidays. Salvation Army, CUOC, N.C. Treasure Chest and Toys for Tots for Lee County tested the new system by making sure every family received toys for Christmas from only one of the organizations. After the rollout of the program, Charity Tracker Basic would be available to local nonprofits and churches for $15 a month and Charity Tracker Plus would be available for $25 a month. New and interested persons or organizations would also be eligible for a 14 day free trial. Charity Tracker Basic would provide organizations with basic information, including client data, bulletins and a directory of all the agencies in the network, while Charity Tracker Plus, includes requests, referrals and outcomes. Kelly said Charity Tracker Plus would be useful to CUOC if someone came in for assistance but also needed help with a light bill. She said if the organization couldn’t help with the full amount, she could send a request to the Salvation Army to assist. “It’s a way for nonprofits to communicate back and forth about the clients,” she said. Charity Tracker Plus could also track the outcomes of clients, Kelly said. For example, if CUOC shared information about Job Seekers with a client that was unemployed, staff at the next agency that client visits will see that information and can ask the client if they followed up. “It kind of just allows all the nonprofits to know what we’re communicating with the families,” she said. Hayes said the database could also assist clients in other areas of their lives. For example, she said organizations would be able to suggest other services in the community that are available to the client like taking a financial management class or getting their GED, which could lead to getting a job. While she understood cost may be a factor for some organizations, Hayes said she would encourage every group involved to get Charity Tracker Plus. “It would really be better if everyone involved got the plus so we could all share [information],” she said. But organizations that get the basic version of Charity Tracker won’t be disconnected from the other agencies, Kelly said, because organizations with Charity Tracker Basic can see messages via the bulletin board. On Monday, 100 people in need went to the Churches Assisting People (CAP) offices in Conway for food. About midday Tuesday, Director Gail LaSalle said it appeared the number was going to be about the same for that day. The economy may be better for some people, but for many others, it has not improved, she said. Who are the people going to CAP for help? They are not people who go from charity to charity, trying to take advantage. Many charities, including CAP, use Charity Tracker on their computers, and they know if a person has been to another charity and what the person has gotten from another charity or from theirs. LaSalle said they are people of all ages, including many seniors living on fixed incomes who are a little above the amount that would allow them to get food stamps or maybe have incomes low enough to get only about $15 worth. And the price of food is going up. “That’s what’s happening. Food is expensive, especially meat,” LaSalle said. Many seniors who worked most of their lives only get about $600 or $700 per month in Social Security to live on. “It’s a struggle,” LaSalle said. CAP provides emergency food assistance of three meals per person, per day for three days. In October 2013, CAP provided food to 1,148 families. As of noon on Oct. 28, CAP already had assisted 1,000 households this month. That’s an estimated 2,800 people and about 24,000 to 25,000 meals. This year, from January through August, a total of 7, 478 families received 165,645 meals. CAP also helps in other ways, if possible, and in that same time period, it distributed $24,401 to 8,000 families to assist with electric bills, transportation, housing and other basic needs. On Tuesday, LaSalle was trying to network to help a woman who has been given responsibility for three of someone else’s children and is having to rent beds for them because she can’t afford to buy beds. In an effort to assist those in need more efficiently, CAP was started by the Conway Ministerial Association in late 1987 with seven participating churches and has grown to about 33 participating churches and organizations. It has a staff of three. Without hard-working volunteers, it would be impossible to operate, LaSalle said. In addition to the daily need of food and donations, CAP, a United Way agency, is working to provide Thanksgiving dinner to families in need. CAP is at 206 Main St. in Conway. For more information about donating, hosting a food drive, volunteering or helping in other ways, call 488-2277 or visit www.capconway.org. Are poor people in Springfield just lazy? Could they get a decent paying job but choose not to? Are they taking advantage of welfare programs and charities — cashing in on the generosity and taxation of hard-working folks? On these questions, a lot of people have already made up their minds. But what if, on a case-by-case basis, there was a way to know what services each poor person in the city received? What if the ones who needed help could get it? What if so-called freeloaders wouldn't be able to game the system? No need for the "what ifs." Such a tracking program exists and is being used, in a limited way, among some local charities. It's called Charity Tracker. For the few food pantries in the city that use it, the system creates a profile of each person or family that receives local services. The profile can include a full account of services received by an individual, including participation in federal programs like food stamps. The profile is shared in real time with other agencies on the network. Mary Zumwalt, of Ozarks Food Harvest, the food bank that administrates the program, said it has been in use about a year. But only 19 charities spread throughout 28 counties have signed on. Only six of those are in Greene County. The $15 monthly fee and equipment needed — a computer with Internet — have been obstacles for the charities that might like to participate. Zumwalt said the program helps the charities coordinate and keep from duplicating services. "What we are really wanting the program to do is make each other aware of the services they provide and to help the clients," Zumwalt said. "It is a really great tool for everyone to work together and not drain each others' resources." Zumwalt told me the system isn't really meant to catch fraud — mostly because the occurrence of it is actually very low — but it can. And this, in a cold and calculating way, is valuable. The ability to tell a cynical community that only the needy — and no one else — is getting help, could help change the conversation when talking about the plight of the poor. The Springfield poverty commission, a group of business, government and community leaders working on a plan to help lift the city's poor out of poverty, could gain some much-needed community support if the commission members push for this system to be more widely used. There is another benefit to the program that could aid the commission's work. The system would allow observers to track a poverty-stricken family's progress. A caseworker could help chart a course for poor individuals and monitor their progress toward getting on their feet. Each success story could provide a blueprint, an inspiration to others and a scorecard for the efficacy of the city's programs. I agree, fighting fraud that doesn't really exist is a silly goal. But if doing so reassures a community that is sometimes hostile toward the poor, the investment would be worth it. It was 1964 when Lyndon Johnson declared a War On Poverty and 50 years later, it’s a battle the U.S. still hasn’t won. In a recent article from USA Today, Stillwater was defined as one of nine communities where wealth is soaring. However, poverty is also rising. To try to prevent as well as to alleviate poverty in Stillwater, Stillwater CARES was founded and has since mobilized a passionate community into action — to not only help others in crisis, but to also give individuals independence. Quinn Schipper, the executive director of Stillwater CARES, spoke about the mission and community involvement that drives the organization’s mission of helping people get ahead. Q: What is the mission of Stillwater CARES? A: CARES stands for Community And Resource Empowerment Solutions. We exist to coordinate strategic community alliances and synchronize best practices so that those who are disadvantaged may be empowered. In short, our mission is helping people help people. Our focus is really weighted in helping people get ahead. There will always be a need for crisis relief and aid, but if we are just providing that without restoration and development then we feel like we are doing people an injustice. We can do far more collectively than we can individually. Traditionally, data reporting tells, for example, the X amount of food baskets or the X number of clients came to this service. There’s a big focus on output rather than outcome. Outcome is how a life has been changed and how has our work together made that difference. A: Stillwater CARES does not provide direct services in the traditional sense. Our clients are the pastors of churches, leaders of agencies, and those who are serving others. Right now we have 56 churches and agencies that identify as associates to Stillwater CARES. The dominant focus of the association is how to address the prevention and alleviation of poverty in a way that helps people get ahead and bring stability and hope for their future. Q: What kinds of services and resources do you provide? A: Our focus is coordination. We provide the most comprehensive web-based service directory in the area. There are 51 categories with more than 275 resources for the services listed, which are provided by our associates. Anyone can access it. Workshop Wednesday, a community benefit discussion series, is designed to help build capacity for social service agencies. We bring industry leaders to Stillwater or select them from within Stillwater to address topics. It’s been really helpful in building common language, practices and thinking in how we can do benevolence differently. A discussion emerged out of the 2012 series about a one-stop resources center. It’s not a traditional service, but we’re looking at a way to bring agencies and social services together, literally, under one roof but also virtually. Our virtual network revolves around a product called CharityTracker, which is a data management system that is designed not only to track the giving out of services and resources, but also to engage clients. We have also facilitated and co-hosted two one-day Bridges Out of Poverty workshops with more than 200 people attending. We have 27 Getting Ahead facilitators, 17 of those in Stillwater. Q: What is Bridges Out of Poverty? A: Bridges Out of Poverty is an international network started by educator Ruby Payne. Oklahoma is the only state in America that has a statewide initiative, called Bridge the Gap, to address the prevention and alleviation of poverty. Stillwater was asked three years ago to be one of the first pilot communities for the Bridge the Gap initiative, now under the Salvation Army. However, it’s not just what’s being done in Stillwater. There’s a bigger picture of what is being done around the state. As poverty reduces, you’re elevating the quality of life for everybody. We have a curriculum out of the Bridges Out of Poverty network called Getting Ahead in a Just-Gettin’-By World. It’s a class in a kitchen table-type small group setting that is designed to help people identify what they need to develop to get ahead. Here in Stillwater we have churches and community people who sponsor individuals to go through the class. Posted: Friday, August 8, 2014 12:00 pm | Updated: 12:02 pm, Fri Aug 8, 2014. The Salvation Army has adopted a way to organize giving in Lee County that all but eliminates duplication of services, and strenuous searches for support by needy families are no longer necessary. Several additional Keokuk churches are discussing membership in the system at summer’s end. The list of local agencies and churches using Charity Tracker includes both Salvation Army offices (Keokuk and Fort Madison), both United Way offices (Keokuk and Fort Madison), All Saints Catholic Church, First Christian Church, Lee County General Assistance, Trinity United Methodist Church and several more. “We have seen great networking with the other organizations who didn’t know what was being handled by other groups,” Litherland said. “We have found that we take the most information from people and smaller groups can take a look at our information. When the network opened in April in Lee County, The Salvation Army and several local network agencies/churches checked their records from the start of the fiscal year in October 2013 for services rendered. From October 2013 to the present day, the network can account for 1,718 individuals receiving assistance. There were 1,573 acts of assistance offered to those individual. The assistance is valued at $98,889, according to Litherland. At the request of the Keokuk School District, The Salvation Army is taking over the Long Weekend Food Program for elementary school students, Litherland said. The Feed My Sheep program is intended for the six long weekends that occur in the school year when there are no classes on Friday and/or Monday. “We are pleased to share that there is a major corporation in Keokuk who has already volunteered to step up and come to The Salvation Army and pack each of the meal packs for this program,” Litherland said. Food packs will include food for breakfast, lunch and dinner that needs little or no help from an adult or older sibling. The Salvation Army is in the process of hiring a social worker who has a degree in social work to manage the organization’s Pathway of Hope Program, according to Litherland. Litherland said The Salvation Army has seen “great success” with the Pathway of Hope program. Charity Tracker can link people from one program to another such as Pathway of Hope. “It really helps us to see what the real problem is,” Litherland said. We are very excited about the great things that Stillwater CARES, Inc is doing in Oklahoma! Great work Quinn! STILLWATER, Okla. — Quinn Schipper is the executive director of Stillwater CARES, a nonprofit community benefit organization. 1 What is the purpose of Stillwater CARES? Simply put, Stillwater CARES is a nonprofit community benefit organization that is dedicated to helping people who help people. We exist to assist other nonprofit organizations that address the prevention and alleviation of poverty in Stillwater. We specialize in coordinating strategic community alliances and synchronizing best practices so that the maximum number of residents can be served with the available community resources. 2 Who are clients of Stillwater CARES? Stillwater CARES is unique in that we don’t serve traditional clients, that is, individuals who need services provided by local nonprofit organizations; rather, our clients are the leaders of social service organizations, the faith community, and those from other sectors who want to help people build resources for a better life. We currently have 54 agencies that have committed to the mission of Stillwater CARES. 3 Why is an organization like Stillwater CARES needed in the community? Government statistics indicate that 30.1 percent of Stillwater residents are with income below the poverty level. This is nearly double the state’s average of 14.7 percent. In 2010, there was expressed need in the community for coordination of social services in order to assist under-resourced people out of their circumstance, to reduce duplication of services and needless waste, and make the best use of community resources. Stillwater CARES was birthed from this effort. 4 How does Stillwater CARES assist nonprofits in efficiently providing services? One of our greatest assets is the community service directory. With more than 275 resources in 52 categories, we provide a comprehensive, web-based resource and service directory. In conjunction with our 211 Essential Services partnership, we are committed to creating an exhaustive resource directory. We also cosponsor Workshop Wednesday, a free monthly program that features speakers who discuss current trends that are relevant to the nonprofit sector and the community at large. 5 What programs does Stillwater CARES offer for individuals hoping to break the cycle of poverty? As a pilot community of the statewide “Bridge the Gap” initiative, Stillwater CARES facilitates Bridges Out of Poverty workshops and Getting Ahead classes that assist individuals break the cycle of poverty. Stillwater has 17 Getting Ahead trained facilitators and there will be two classes graduating this summer. On Sept. 1, Stillwater CARES will launch CharityTracker, a resource that enables agencies to work together to create a cohesive life plan for their clients. Natural disasters raise the threat of disease by disrupting water supplies and sewage systems. But they nearly always spread corruption throughout every political system that touches relief funds. That’s why the allegations against New Jersey governor Chris Christie—that he diverted Hurricane Sandy relief funds into advertising and marketing during his reelection campaign in 2013—are hardly surprising. For instance, the state of Hawaii was recently asked to refund up to $4.2 million in disaster relief paid out after flooding and landslides all the way back in 2006. Hawaii officials allocated disaster relief funds to various construction projects that were unrelated to emergency relief. They also skipped mandatory competitive bidding processes when selecting contractors. The Department of Homeland Security’s inspector general’s report found that the state's Department of Design and Construction explicitly granted projects to specific contractors. Then there’s Katrina. Even six years after the hurricane, the Federal Emergency Management Agency (FEMA) was still reviewing 154,000 cases of potential fraud involving $600 million that was mistakenly allocated to individuals who did not meet the requirements for assistance. The money had been allocated for disaster victims of the 2005 Hurricanes Katrina, Rita, and Wilma. Under political pressure to deliver results, FEMA officials omitted even basic property inspections and did not check whether an applicant’s insurance company had already covered the damage. Thousands of unqualified individuals improperly secured funds. This on top of a 2013 report saying that nobody knows what happened to $700 million out of the $1 billion that the Department of Housing and Urban Development granted to Louisiana's Road Home program. More than 24,000 homeowners could not demonstrate that they used appropriately the $30,000 they each received to elevate and repair their homes. The Katrina examples might have come down to relaxed protocols and human error, but evidence suggests that disaster aid is often distributed for reasons apart from reported losses and demonstrated need. Peter Leeson and Russell Sobel (2008) found that each additional $100 in per capita disaster assistance a state receives increases that state's average corruption level by over 100 percent. It’s not hard to see why relief funds are ripe for corruption: Sudden injections of money meet a surge of demands and an urgent situation full of confusion; traditional protocols are often streamlined; applicants know their claims will receive little if any scrutiny. Post-disaster contexts also draw political pressure. Those in charge of the funds are encouraged to open the spigot. In fact, Thomas Garrett and Russell Sobel (2003) found that states that are electorally strategic to the President are more likely to receive presidential disaster declarations. Garrett and Sobel also found that, prior to FEMA's reorganization under the Department of Homeland Security, states with representatives on FEMA oversight committees were more likely to receive disaster funds. Private disaster relief—from churches, charities, and businesses—avoids many of these problems, beyond simply being more effective in general at addressing the local needs of disaster-stricken communities. Private aid is less susceptible to political corruption, and organizations have more incentive to ensure that funds are not dispersed inappropriately. Local private groups are also better situated to know the local community, the damage suffered, and the people in the community, and thus to recognize potential aid abuses. For instance, following the 2011 tornado, College Heights Church in Joplin, MO, and other churches and charities in the Joplin area started using Charity Tracker to prevent abuse of private relief. Charity Tracker is a program that allows churches and charities to record assistance given to specific individuals. The system provides alerts if the same individual is requesting similar aid from multiple charities and churches in rapid succession, indicating potential abuse by the recipient. Additionally, Charity Tracker allows churches and charities to share information on recipients to tailor assistance to their needs. One Joplin church leader told us that “you have a moral obligation to make sure that what is being donated, it goes to those who actually are . . . survivors of the tornado.” In Tuscaloosa, churches relied on the Tuscaloosa Prayer Network and Love, Inc.—two previously existing networks of pastors and churches—to avoid duplicating assistance to the same disaster victims. Samaritan’s Purse, which sent both immediate disaster relief and home-rebuilding teams into New Orleans, Joplin, and Tuscaloosa (among other disaster-stricken areas), has case managers investigate every work case submitted to it for authenticity and need. They even include drug tests and credit checks to ensure that donations to their disaster-relief efforts are used as effectively as possible. Samaritan’s Purse often partners with local churches, such as the First Baptist Church in Tuscaloosa, in order to work with people who know the local community's residents and needs. While FEMA struggled with transitioning disaster victims from trailers intended to be only temporary living quarters following Hurricane Katrina, 90 percent of the estimated 5,000–7,000 displaced households from the Joplin tornado were accommodated by families, friends, and even welcoming church and charity members, mitigating the potential for long-term abuse of disaster relief. Additionally, disaster victims seeking refuge with private citizens received friendship and assistance to address the deeper emotional scars of the storm, and they potentially avoided exposing children to some of the health and social side effects associated with FEMA trailer parks. While the recent wave of reports uncovering new abuses of disaster aid are disturbing, they weren’t unexpected. The good news is that there’s a superior alternative already at work. 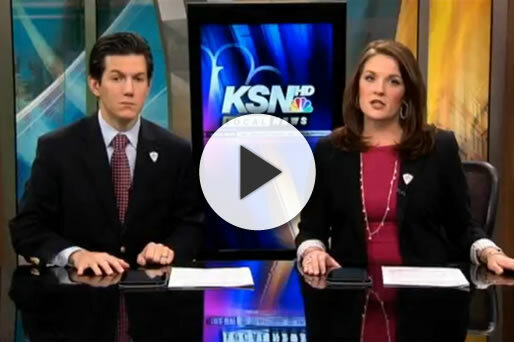 Thanks to KSN TV (Joplin, MO) for covering how CharityTracker is being used in Joplin, Missouri by the Joplin Area Ministerial Alliance to serve organizations such as Souls Harbor of America and Joplin Family Worship Center! These outreach organizations are shining examples of how working together can make a huge impact in your community. BIRMINGHAM, Ala. (AP) — Charities in northwest Alabama had a problem after Hurricane Katrina blasted the northern Gulf Coast in 2005: They didn't know how to keep track of thousands of people who were suddenly on the move and seeking help far from their homes in Louisiana, Mississippi and Alabama. A collaboration between community workers and computer programmers resulted in a system that is now being used to keep track of thousands of charity recipients in about 680 cities nationwide this Christmas season. Developed by Simon Solutions Inc. in Florence, CharityTracker is one of about 30 software tools used by U.S. homeless shelters, services agencies, soup kitchens, faith-based groups and community organizations to keep up with the thousands of needy people who seek assistance every day. An agency can sign up and use the Web-based system for as little as $15 a month. The U.S. Department of Housing and Urban Development requires agencies to share information electronically if they receive government funding, and other software systems have wider use in certain areas than CharityTracker. But Cathy Easley, a United Way administrator in Charleston, S.C., said CharityTracker is simple enough that even occasional users can work it and robust enough to let agencies share detailed information that helps people. For example, she said, someone might ask for utility assistance at an agency that doesn't pay for power bills. Once a client signs a release allowing information to be shared, the agency can upload a copy of the power bill, which can then be seen by another organization that can help out, Easley said. "It has really transformed how our community, agencies and churches work together and how we are better able to serve clients by using it," said Easley, director of integrated community systems for Trident Unite Way. About 90,000 names are in the Charleston-area database, which is used about 200 organizations, she said. Simon Solutions President Mike Simon said his company tries to differentiate its system from others with good customer service and a user interface that's so simple that an elderly church volunteer could pick up the basics in a few minutes of training. "It is very, very volunteer friendly," he said. Part of the reason goes back to the way the system was born in the months after Katrina. The hurricane inundated New Orleans with floodwaters after levees failed, and thousands of people lost their homes in Mississippi and Alabama because of the high winds and storm surge. Many people fled north after being left homeless by the storm, and some of them wound up in northwest Alabama. Small-town church volunteers and charity agencies that were using notebooks or index cards to track aid recipients suddenly were faced with large numbers of people seeking assistance, and they needed a way to keep tabs on what type of aid individuals were receiving to avoid duplication. They also dreamed of an easy way to communicate with workers in other organizations to help determine what sort of assistance may be available for specific needs, like someone who needed transportation or a job. "They were pretty perplexed," said Simon. "They were worried that the right resources were not getting into the right hands." Simon Solutions already was located in the Shoals area of northwest Alabama, and agencies asked the company for help in developing software to help track people and to make it simpler to get aid to the needed. The goal was to build a computer database in which agencies could store information and share it, a key requirement for avoiding duplication of services. The company developed a regional system called SEANtracker, or Shoals Emergency Assistance Network tracker. Word spread and software engineers used it as the basis for CharityTracker. Large groups of users are now located in cities including Charleston, Joplin, Mo., and Austin, Texas, said Simon. Michelle Farley, director of a Birmingham-based consortium of assistance agencies called One Roof, said her agency and most others in Alabama use a larger, competing system called ServicePoint, which functions similarly to CharityTracker and other software systems that let organizations store and share information about aid recipients. To improve its product, CharityTracker has added technology that will allow assistance agencies to add information into their databases by simply scanning a recipient's identification card. Charity groups need some sort of database to avoid the drain of providing duplicate assistance, Farley said, but they also need information that can help them operate most efficiently. "Churches don't want to continue giving people money for utilities monthly if what they really need is weather stripping," said Farley. Thanks to Jay Reeves from the Associated Press for covering our story! This article was quite a wonderful gift to arrive on Christmas morning. The story was reprinted by The Washington Post, The San Francisco Chronicle, The Minneapolis Star Tribune, ABC News, Bloomberg News, and many others. Here's a link to the original article. FLORENCE, Alabama – A technology developed by Florence-based Simon Solutions to help organizations keep track of client intake and reporting data now allows assistance workers to record information with just one scan. CharityTracker, which announced Friday that scanner and barcode technology is now being offered to use with the CharityTracker Plus product version, gives clients the option to open case files and add assistance records with a couple of scans. Customers can also print and use scanned ID cards with the product. Officials hope the new features will streamline intake processes and cut down on the time workers spend on manual data entry. "We believe the barcode scanning option will help charitable organizations serve their clients faster and with greater accuracy," said Simon Solutions Chief Executive Officer Ben Stedman. First implemented in northwest Alabama in 2007, CharityTracker has networks in 678 cities and recorded more than $150,000,000 in assistance spending since its introduction six years ago. Simon Solutions, which opened in early 2006, developed the CharityTracker after being approached by the United Way of Northwest Alabama to create a system that would link caregivers in the event of a future emergency. The online service is now used by faith-based and community nonprofit organizations, churches and government agencies. Your tax money: Is helping the Myrtle Beach homeless worth it? MYRTLE BEACH, SC - In 2013, the South Carolina Coalition for the Homeless counted more than 6,000 homeless people across the state. Statistics show that Horry County ranked among the top three counties with the greatest number of homeless. Helping the homeless is a challenge for many cities including Myrtle Beach. In the past, various groups used tax dollars to provide free services for those in need. The city of Myrtle Beach hopes to cut expenses by changing the way they help the homeless. Charles Miller said he is happy to have a roof over his head and food on the shelves. "I was unemployed in North Carolina for several months and ended up losing everything that I had" said Miller. Miller lives at Street Reach, a shelter for those in need, which is a stark difference from 2 years ago when the homeless established tent cities. The encampment was on private property and drew the attention of tourists as well as Horry County police. Officers arrested nearly half a dozen people for trespassing. The move sparked protests, grabbed headlines and made the issue of homelessness a top priority for leaders in Myrtle Beach. "Basically we want to move as many of the homeless as we can out of this community" said John Rhodes, Myrtle Beach mayor. "Being a tourist location we don't need homeless walking up and down the streets." In an effort to clean up the city's image and remove the homeless from the streets, city officials gathered nearly 60 church groups, non-profit agencies and other organizations that served those in need. Together, they identified ways to improve services to the homeless and reduce duplicating resources. "We have homeless people that come to one location and get groceries and go back to their camp and then go to another location and get more groceries" said Rhodes. Mayor Rhodes said the free food along with clothes and shelter came at the expense of taxpayers. Budget information requested from the city of Myrtle Beach showed that in 2011 CASA and Street Reach received a combined $70,000 to help the homeless while $20,000 was given to Myrtle Beach Haven. In total that year, taxpayers spent $90,000 to offer certain services for those in need. The next year, 2012, CASA no longer existed but the city provided $50,000 in funding to the Center for Women and Children and $40,000 went to Street Reach. In addition, Myrtle Beach Haven received $10,000 more than the previous year, said Mark Kruea, spokesperson for the city of Myrtle Beach. After examining those numbers, city leaders looked to consolidate services and cut back expenses by forming an umbrella organization to help the homeless, New Directions. "New Directions is an organization that was established to be a direction for change in the way we serve the people in need in our community" said Kathy Jenkins, Exec.Director for New Directions. Jenkins said what makes the agency different is it's philosophy for helping the homeless. "We are no longer going to provide a bed to sleep and a meal to eat" said Jenkins. "We are going to provide a plan and assistance to help people overcome their obstacles and get back into the workforce and become self-sufficient." Jenkins said part of their plan includes Street Reach Enterprises. The faith-based program provides, food, shelter, skills training and employment services. Miller manages the shelters kitchen and hopes to find work in the local restaurant industry. "I get up around 5:30am and get breakfast going and then after breakfast I go into cooking lunch where I usually serve about 30 to 35 people" said Miller. Jenkins said typically Street Reach holds 55 males and 15 female residents. The agency uses an identification system know as "Charity Tracker" to monitor clients. "This way we can track who our people are that need assistance, what sort of assistance do they need and do they truly want assistance or are they just trying to use the system" said Jenkins. City leaders said they expect the change in the culture of homelessness in Myrtle Beach to take time and money. In the end, they hope their efforts save tax dollars and help lead the homeless in a new direction. "We want to do everything we can to help the homeless" said Rhodes. But that homeless person that is walking down the streets that may have a pack of cigarettes in their hands and cell phone in the other hand who is not going to work and is not going to try and get a job. They need to go to another town." For 2013, the Myrtle Beach City Council committed $121,000 to New Directions, said Kruea. He said they also allocated $65,000 in grant money for capital projects such as shelters improvements. Jenkins said the agency is still in the beginning phases but the overall goal is to use the funds to help the homeless rebuild their lives. Volunteers at Hill Country Nazarene Church in Cedar Park have quietly worked over the past three years to fulfill a critical need. The unpaid volunteers head to the church on Bagdad Road every Monday and Tuesday to cheerfully arrange and distribute food to hundreds of families. Pastor Joe Bob Ellison said most volunteers rarely miss a week. Those volunteers have helped the food pantry grow from a humble program to the large enterprise it is today. Ellison said the food pantry last year served more than 16,000 families, which equated to more than 500 tons of distributed food. “It just blows my mind every single week, and I’ve seen it for almost three-and-a-half years,” he said. Every week since September 2010, the church has been transformed into a scene reminiscent of an indoors grocery market. Visitors fill the main hall, which holds tables full of bread, vegetables, fruit and bags of canned goods. Lorene Watkins, a volunteer who herself received help from the church, said families get to the church as early as 5 a.m. to receive food and clothing. “We all know the families are coming here and not going home hungry,” she said. Ellison called it the best-kept secret in Williamson County. “We tell people all the time we serve up to 350-450 families a week, but we always tell them you have to see it,” he said. On Tuesday, adults and children filled sets of chairs that would normally hold the church’s congregation. Every adult gave personal information that is added to Charity Tracker, a database used by churches and food pantries throughout the area. After being given a number, they waited patiently for their turn to receive the much-needed groceries. Ellison said all walks of life have headed to the church in times of crisis. One man had worked at Dell Inc. and received a six-figure salary until being laid off, he said. After six months of unemployment, he found help at the church. The man received help not only through groceries but also from the love and encouragement volunteers gave him during his visits. Today, Ellison said the man is employed and able to once again take care of his family. “The only way he was able to do that was by us helping him bridge that gap,” he said. Linda Starnes, who has volunteered at the church for more than two years, said all walks of life seek help at the church. Starnes decided to volunteer after retiring as a state employee. She worked in the Victim Services Division of the Texas Department of Criminal Justice, which made her particularly equipped to handle people in the midst of crisis. “Honestly, it’s been the most rewarding thing I’ve ever done, and I’m not just saying that,” she said of her volunteer work. The welcoming environment, which is devoid of judgment from volunteers, is what brings families back to the church, she said. The visitors range in age and background. On Tuesday, volunteers wandered throughout the crowd, hugging previous visitors and commiserating with others who are facing hard times. An elderly man, who stood at the back of the crowd, seemed overwhelmed. “I’m ashamed to be here, and I’m happy you are here for my need,” he said, speaking loudly to the volunteers. The large crowd that fills the church mirrors recent data released by the U.S. Census Bureau American Community Survey. The family poverty rate rose from 3 percent to 5.6 percent in Cedar Park and 3.5 percent 5.7 percent in Leander, according to the survey. The study defined poverty as someone whose income is below the federal threshold, about $21,000 for a family of three. But Ellison was wary of starting such a large endeavor. But after a year of planning, the church opened its doors to families. The first week hosted six families, and from there, “it just blew up,” he said. Marotz agreed, saying the presence of a higher power is what allows the pantry to keep up with the demand. “We never once had to turn anyone anyway. I can guarantee that is not a coincidence,” he said. The pantry receives donations and help from a variety of sources. Hill Country Bible Church Austin sends volunteers to the church every week, and food is purchased or donated through the Capital Area Food Bank. Anyone from individuals to groups of middle school students donate money or hold fundraisers benefiting the pantry. Ellison said on Monday a volunteer from NetApp, a local data storage company, decided to write a $6,000 check to the church. The donation will help the church serve more than 4,000 people expecting to attend the Share Your Blessings Thanksgiving dinner on Sunday. Ellison explained that the church is simply being “the hands and feet of Christ,” a sentiment he hoped to see in other congregations. FLORENCE, Alabama – They describe themselves as nerds, armed with a hunger to design and build web applications and make computers easier to navigate. The Florence-based software business has developed a flagship product for food banks and partner agencies to keep track of information related to client intake and reporting data, as well as Supplemental Nutrition Assistance Program (SNAP) outreach. The company, Simon Solutions, will showcase their product Oasis Insight, which is being used by 50 of more than 200 food banks in the Feeding America Network, during the Feeding America Agency Capacity, Programs and Nutrition Conference in Chicago from Oct. 21-23. "This gives us a chance to talk with our food bank partners face to face, listen to their goals and grow our relationships," said Oasis Insight spokesperson Joey Yarber. Opened since early 2006, Simon Solutions eventually developed the CharityTracker after being approached by the United Way of Northwest Alabama to devise a system that would link caregivers in the event of a future emergency. Thousands of groups in more than 650 U.S. cities are now using the system. It’s been almost two years since a group of churches and agencies came together to assemble a database to help them better serve people in Athens in need of financial assistance. Since its official launch in January 2012, Charity Tracker — or the Athens Area Compassion Cooperative, as it is known locally — not only has allowed churches and agencies to securely share records, notes, alerts and other information, but also has helped to maximize resources and weed out people trying to take advantage of services. “In the past it was really hard for us to know where an individual had already been for assistance or where to send them to get immediate needs met,” said Lucy Hudgens, executive director of The Ark, one of the agencies that helped bring Charity Tracker, a Web application, to Athens. “Charity Tracker has allowed all of these agencies and churches to be on the same page, share resources and help each other.” Hudgens now chairs the steering committee that oversees the Athens Area Compassion Cooperative. Dawn Aiello, community programs director for Community Connection of Northeast Georgia, is the site’s network administrator and said one of the things she’s noticed the application do is help agencies and churches meet people’s needs more quickly. A recent example includes a family that came to The Ark. One of the parents had been laid off and the family was facing eviction. The Ark was able to get on Charity Tracker to determine whether the parent had been helped elsewhere, and found out they had not. Hudgens then posted a bulletin to other agencies and churches to get assistance for the family before the eviction was finalized. A few of the groups came together and were able to generate the funds needed to keep the family from being evicted. Enhancing communication and collaboration between agencies and churches also has resulted in the generation of a complete picture of an individual’s circumstances. If agencies can see that a person received mental health services from Advantage Behavioral Health System, stayed three nights at a local shelter and recently needed help to pay for a medical expense, they can determine what the root problem might be and help the person overcome it, Aiello explained. By attacking the root of the problem, agencies and other service providers hope to help the person get out of their situation and become self-sufficient, rather than providing quick fixes to immediate needs. “In the past, agencies have always had one piece of the puzzle. Now we can see a complete picture of a person’s life and needs,” Hudgens said. The Athens Area Compassion Cooperative network currently comprises 24 agencies, but Aiello and Hudgens are encouraging government, nonprofit and faith-based organizations not already a part of the network to sign up. April 15-- If you contributed to the local United Way this year, you'll be glad to know its agencies are using a computer tracking system to help avoid assistance abuse. Sandy Roberts with the Salvation Army in Vidalia says "Charity Tracker" helps make sure those who really need assistance are being served. "We have a data base now that shows us if the same people are going everywhere. You really can't just tell another agency about a client, but with "Charity Tracker" they can just put a name in and the computer will tell them if they're in it. It makes us better stewards of what we have to make sure those who really need help are getting it and the ones who are working the system aren't getting it so it's all gone when somebody who really needs it walks in," Roberts reports. Right now Roberts says the Salvation Army food pantry is almost bare and she's hoping the United Way-Letter Carrier Food Drive in May will help her re-stock the shelves. She's also asking that if you have any clothing, old applicances or furniture or almost anything, they need it for the Salvation Army Store on Jackson Street in Vidalia. The store is one way they raise money to help people. "There's a lot of families who would never come and ask for help, but they shop in our store. They can buy kids clothes for $1.99 and their clothes for $2.99 and that helps them be able to afford to buy food and pay bills," she says. Tallapoosa Aid to People (TAP) has been temporarily helping people who have fallen on hard times since 1983. TAP provides limited help by paying rent, mortgage payments, utility bills or prescriptions for those in temporary need of assistance, according to Rosemary Brigham, board member of the organization. Brigham said TAP helped 369 families last year, but without help from the Lake Martin Area United Way, TAP providing assistance would not be possible. TAP is one of the 23 agencies funded by the Lake Martin Area United Way. Brigham said TAP strives to improve the quality of life of residents in Tallapoosa and Coosa counties through temporary assistance to meet emergency needs. Brigham said some of the most common changes include loss of job, death, reduction in job hours and sickness. Aid from the organization is limited to once a year, and participants are run through charity tracker. Fuller said charity tracker is a computerized system that tracks payments given by different charities to be sure aid is not being abused. Brigham said those needing assistance can call 256-234-3291 and request an appointment with Dorris Black. Applicants will need to provide proof of income and identification. Since the May 22 tornado many organizations and churches have responded providing more aid to people in need. In the last year, around 12,000 Joplin families received 77,000 items of assistance. The Joplin Charity Tracker Network is a computer program that the Watered Gardens Gospel Mission Center started and tracks who is receiving food, clothing and even shelter. More than 40 organizations use the charity tracker and it allows them to network together to monitor the distribution of the resources. Watered Garden officials say the program is a tool to help them determine who is abusing the system and who actually needs the assistance. They say they want to track who has food stamps in order to give to those who don't. "Right now it's so important that we come back from allowing people to abuse the system over and over and over again I mean we have a lot of that that's happened, especially in disaster time when there is a lot of stuff being given away there is a lot of people that come and want some things," says James Whitford, the Executive Director for Watered Gardens Missions Center. A community assistance association meeting resulted in changes to committee bylaws Tuesday night. Pontotoc County Assistance Association, formerly known as Ada Community Assistance Association, committee members voted to change the association’s name to reflect their service to a wider area than simply the city of Ada. The association was formed in February 2011 when Ada Ministerial Alliance members along with area churches and charitable organizations decided to coordinate efforts to help the impoverished in the area. In addition to changing the association’s name, PCAA committee members voted to move from two meetings per year to one meeting per year in March with the provision that special meetings may be called by PCAA’s president as necessary. The election of three at-large committee members was on the agenda for the evening. Edwina Lowery was reelected while James Jackson and David Cobb were added to the roster of at-large members. Committee members discussed a program called Charity Tracker, which can help the different agencies involved coordinate their efforts to help clients, prevent abuse of the system and keep track of clients who have abused the system in the past. With proper use of the Charity Tracker system, she said agencies can find out where a client has received assistance and what the client needs. Agencies can also see the value of what they’re providing with Charity Tracker. Of the services currently provided and tracked by agencies participating in PCAA, Bryant said over $60,000 has been utilized to help move the impoverished toward sustainability. “If we would all start using the clearing house and Charity Tracker, that would get us all on the same team,” Angel said. The clearing house for PCAA is the Salvation Army in Ada. Angel said that’s where potential clients are sent first in order to coordinate help the association provides. OKLAHOMA CITY (AP) — Four nonprofit agencies in Oklahoma City have joined in an effort to prevent fraud and keep people from receiving assistance and services from more than one of the charities. The Greater Oklahoma City Clearinghouse consists of The Salvation Army, Christmas Connection, Bethel Foundation and Skyline Urban Ministries. "There are those that are kind of taking advantage of the system," Christmas Connection's executive director, Shelly Dutton, told The Oklahoman, "but for the most part, people are looking for help." She said the program uses Charity Tracker computer software, which allows officials to track clients by names and birthdates. Those who signed up at more than one agency are sent back to the first charity they registered with and are not allowed to receive more aid. Agencies pay about $185 to use Charity Tracker for a year, she said. Christmas Connection has spotted 80 clients out of about 800 so far that already were signed up with another agency, Dutton said. About 35 of 200 clients were turned away from Skyline Urban Ministries for doubling up on charities, said Kim Parris, a site director for the Methodist charity. "Just for this year, just for using this one program, we were able to serve 35 (more) families," Parris said. The Bethel Foundation, which serves about 2,000 single mothers and their children, has found 25 families signed up with more than one agency this year, its founder, Lynda Powell, said. She wishes everyone was honest, but she realizes that's not realistic and has no problem filtering out scam artists, she said. "That's not need. That's greed," Powell said. "I have a problem with that." Major Francina Proctor, the coordinator of women's ministries for the Central Oklahoma Area Command of The Salvation Army, said she did not know how many people had been rejected by the agency because of duplicating services. She said 1,900 families will receive help from The Salvation Army this year. Other charities are interested in the program, Dutton said, and many have been calling to see whether it's working. She said she hopes more groups will sign on and that the system will be used for back-to-school support and Thanksgiving meals. FLORENCE, Ala. (AP) — An Internet system designed to track charitable giving in northwest Alabama is getting attention from other communities in the state. The TimesDaily reports (http://bit.ly/ryEtky ) that the Charity Tracker system includes a searchable database for members and allows real-time communication, which can be useful during disasters. Authorities say it also helps charities track those receiving help and whether individuals are seeking assistance from multiple agencies. Mike Simon of Simon Solutions, which created the Charity Tracker system, said 23 Alabama counties are using Charity Tracker, and state government agencies have expressed an interest. He said the system is being used by more than 400 cities across the country. Members of Loving the Shoals, a group of nonprofit organizations and government officials, met recently with Huntsville Mayor Tommy Battle to demonstrate the system. Updated: 4:20 pm, Thu May 2, 2013. An Internet-based community communications system created in the Shoals is getting the attention of Alabama’s most technology-savvy city. Members of Loving the Shoals, a cross-community group of nonprofit organizations and government officials, met recently with Huntsville Mayor Tommy Battle and his staff to demonstrate the Charity Tracker system. “We left the meeting with an affirmation that we could create a north Alabama care network to prepare for disaster relief,” said Mike Simon, owner of Simon Solutions, which created the Charity Tracker system. Charity Tracker is an Internet-based information storage and communication system being used by churches, nonprofit agencies and some government agencies. It has a searchable database for members and allows real-time communication, which can be useful during disasters. It also helps charitable organizations keep track of those receiving help and whether individuals are seeking assistance from multiple agencies. Simon said 23 Alabama counties are using Charity Tracker, and state government agencies have expressed an interest. He said the system is being used by more than 400 cities across the country. Florence Mayor Bobby Irons took part in the meeting. He said adding Huntsville to the network would be invaluable during emergencies and disasters such as the April 27 tornadoes that ravaged northern Alabama. “The exciting part of this is that it can network all over the state,” he said. “What would be attractive to us would be connecting all north Alabama cities. “The track record has been that we have all helped each other in disasters. With this, we could reach out on the Internet when we’ve had a storm and need generators, for example,” he said. Both Irons and Simon said one of Battle’s staff members heard about Charity Tracker and asked the Loving the Shoals representatives to demonstrate the system for the mayor. Loving the Shoals grew out of the influx of refugees in the wake of Hurricane Katrina in 2006. Simon said local relief organizations and governments had no effective means of communicating needs with each other, and he was asked to devise an Internet-based system for real-time communication and data storage. Irons said Alabama’s Homeland Security office has expressed an interest in the system. Other state agencies may be interested, too, Simon said. Robert Palmer can be reached at 256-740-5720 or robert.palmer@TimesDaily.com. Certainly, no one wants a disaster to occur. But, if one does happen, it can become a catalyst to unite people in new and extraordinary ways. A catastrophic event can provide a spark to motivate people to go from working as individuals or individual groups to reaching out to their neighbors together in a way that has a greater impact. Austin Bridge Builders Alliance (ABBA) is employing new media and communications technologies to direct that spark in sustainable and meaningful ways to improve Austin in a permanent and measurable manner. When the devastation caused by Hurricane Katrina sent hundreds of evacuees to Austin in 2005, the communications and response systems were not in place to afford ease of service to the evacuees. But as compassion ministries and pastor networks, including ABBA, came together ad hoc networks formed to serve their immediate needs and provide guidance for long-term recovery. The experience and lessons of Hurricane Katrina validated the need for a better, more permanent system for communicating needs and accessing resources when time is of the essence. Because of the way the faith community responded to the disaster, the city recognized that congregational networks who were ready and willing to serve Austin may very well be a part of that solution. This led to the creation of the Austin Disaster Relief Network (ADRN). ADRN provides a hub for emergency preparedness training during non emergencies so that during emergencies there are systems and resources ready to be mobilized as soon as possible. Today, this network of churches, using new and social media, is able to communicate and unite people for sustainable support in response to emergency situations at the touch of the 'send' button. The recent wildfires demonstrate the power of new communications technologies to activate networks and forge united responses to communities in need. Minutes after the first wildfires erupted, the technology tools that were in place united the needs of Bastrop and Travis counties with the Christian community, mobilizing volunteers and resources needed to respond to the disaster. Today, as these communities begin the challenge of rebuilding lives, these tools will continue to drive ongoing efforts to serve our neighbors. When the wildfires erupted, ABBA was in immediate contact with ADRN Executive Director Daniel Geraci to understand what was needed—both on the ground and in regard to volunteers. As a first responder, ADRN created and ran the shelters for the people fleeing as wildfires hit their neighborhoods. Daniel communicated regularly with ABBA, texting, emailing and calling about the kind of assistance needed in these shelters. Each level of disaster response requires differing levels of expertise. As Daniel communicated the skill levels needed, we turned quickly to our networks, tweeting, posting or texting to the volunteers who could deliver the services needed at that time. ABBA's different Facebook and Twitter communities allowed for the collection and gathering of information to appropriate groups. These social communities supported our ability to maintain lines of communication on an ongoing basis with pastors and churches to anticipate ways their church members could engage. With each email or text, pastors in the ABBA network could begin cultivating those resources within their churches. This support could be food and clothing drives, assistance in cleaning up affected areas, long-term housing support for those who had lost their homes or emotional and spiritual support through the recovery process. In addition, ADRN operated its own call center out of Hill Country Bible Church Northwest. With a dozen phones and computers, the center was operational from the first day of the wildfires. Two separate phone lines were set up: one for those who wanted to help and one for those in need. The volunteers who manned this call center shared information through the use of a text messaging service. As families indicated they wanted the faith community to help them begin to walk through the recovery process, ADRN would input their information in Charity Tracker. As churches volunteered to sponsor or adopt families, they would access the needs of the family from Charity Tracker. Because of the sharing of information through the secure web-based benevolence software and the willingness for churches and ministries to become a member of the local Charity Tracker network, the process for connecting people wanting help to those who were willing and able was streamlined. In essence, a family needing help could go from being by themselves to having a group of 12 people around them in less than 24 hours. As evacuees returned to their neighborhoods, volunteers were already there, standing by to be with those who would be returning for the first time. Volunteers helped debrief people from the trauma, determined their immediate needs and provided the needed emotional and spiritual support as they faced the devastation to their neighborhoods and their friends. ADRN volunteers will continue to log, track and report on resource needs and assistance provided through Charity Tracker. ABBA will use data gathered through Charity Tracker to measure and report on ways the faith community responded to the wildfire disaster. We will also use Charity Tracker data to quantify the impact of benevolence on disaster response—and how that impact can be extended to new needs in Austin. As the families of Bastrop and Travis counties begin the hard work of recovery, ABBA’s goal is to capture the momentum stirred by the wildfire response, directing that passion into long-term relationships on behalf of the numerous needs that exist in Austin when we are not in a state of emergency. We strive to empower churches and their congregants to step forward and take action on behalf of our city, so that they're not just going to church on Sundays, but they're working together, as Christians, seeking the peace and prosperity of the city as encouraged in Jeremiah. Zetify.org is an important tool that will support those long-term relationships. Zetify is a web-based relationship-building resource that allows the public to see what's happening within the Christian community in Austin: events at churches, volunteer needs within ministries and nonprofits, social interactions and other opportunities to get out and get involved. It is a central hub to connect needs, identify resources and engage in volunteer activities. The wildfires demonstrated the power of connected, flexible and responsive networks fueled by new media tools. We now have an even clearer picture in how to cultivate and marshal the power of these networks to improve our city. When people in our community are in need, they come see me. I work to provide emergency food, clothing vouchers, energy and rental assistance (when funds are available), and assistance with burn-outs. This past year was a very busy time for the Salvation Army Social Services, with many sad, happy, and inspiring stories. There is one story in particular that stands out and really conveys what the Salvation Army Social Services is all about. In October 2011, an elderly gentleman walked into my office for utility assistance. He has never asked our Salvation Army for assistance before and was very thankful that we were able to meet with him. As he sat down, he extended his hand, smiled and said, “My name is Joe Smith.” As I took his hand and introduced myself my heart began to break; this gentleman had to be at least ninety and one of the nicest people that has ever walked through my door. Before we even began the intake process I knew he was someone who would appreciate anything he received, and I was so happy we had EFSP (Emergency Food & Shelter Program) funds available to help him. To begin the intake process I logged into my Charity Tracker account and typed his name in the search bar. I could see that he was a client of CAPS (Client Assistance Program, SC) in the past, and there was something posted in the notes section. It was note posted by CAPS stating that Mr. Smith was the oldest living Navy Seal and that he served in WWII! All I could think was what an honor it was to have this man sitting in front of me; I knew I had to do everything in my power to help him. I went over the general information with Mr. Smith (address, income, expenses, number of individuals in the household, etc.). Mr. Smith and his wife live in Conway and receive Social Security and a very small amount of SNAP (Supplemental Nutrition Assistance Program) benefits. Throughout the process Mr. Smith just smiled and made a few jokes. As I called his electric company to see how much he needed to guarantee service for an additional thirty days, all I could think was, “Please let me be able to help him.” I think I smiled bigger than Mr. Smith when I told him we were going to be able to pay his whole bill of $203.84 through the EFSP Phase 29 funds. As I filled out the paperwork, Mr. Smith began to tell me that when he was a teenager all he wanted to do was join the service, and his mother said, “Absolutely not,” so he ran away from home. He hitch-hiked across the country to California. Once he arrived on the West Coast he had nothing, not a dollar to his name. He continued to tell me how someone told him to go to the local Salvation Army in San Diego. There they were able to provide the young Mr. Smith with a hot meal and warm bed before he enlisted in the Navy. He went on to say today was the first time since that day that he had ever asked the Salvation Army for help. He said how grateful he was that at both times in his life, we were able to assist him. As I pushed the tears back and handed Mr. Smith his ID, he said that this was the best birthday gift he has ever received. How had I missed that today was his 88th birthday? It just made me even happier that we were able to assist him. Days like this one are the reason I went to school to become a social worker. I was so happy and excited to be able to assist this sweet, gentle man that served his country, that made the world a better place for me…I couldn’t stop smiling for the rest of the day. It is people like Mr. Smith that make my job worth doing. Even though I have to turn down more people than I assist due to lack of resources, the ones that I am able to help are always so grateful. Posted: Sunday, July 24, 2011 12:01 a.m., Updated: Friday, March 23, 2012 10:39 p.m. There are doers and there are facilitators. Chuck Coward and the Human Needs Network are mostly in the second category. Coward's title is chief vision navigator, which indicates his emphasis. The goal is to make connections among potential collaborators -- nonprofits, churches, agencies and service providers -- in an effort to alleviate the effects of systemic poverty. Once called Charleston Outreach and affiliated with the Charleston Baptist Association, the now-independent Human Needs Network assumed its new name officially on Jan. 1. And it's been ramping up its efforts lately, forging new collaborations on Johns Island and in Goose Creek, seeking to empower both the impoverished and those who serve them. Coward and his small staff are the idea generators, the cheerleaders, the faithful who believe that communities can be healed when resources are combined and deployed by teams of caring people, he said. But it's not only about beneficent ideas. In 2009, the Human Needs Network and Trident United Way introduced a new computer-based solution to link local churches and agencies together so they could share information about clients served. The software product is called CharityTracker. When churches are able to centralize key information, they can better track which services have been offered and make their outreach ministries more efficient, Coward has said. "We're wanting to help the church be the church," he said, "to be a life-restoring institution in a broken world." Today, local users of CharityTracker number more than 100 and include East Cooper Community Outreach, Stallsville United Methodist Church in Summerville, St. Andrew's Church and East Cooper Baptist in Mount Pleasant, Northbridge Baptist Church in West Ashley and Midland Park Ministry Center (part of Riverbluff Church) in North Charleston. About 400 individuals at churches and agencies have been given access to the database, and more than 46,000 clients (nearly 21,000 households) have received $2.6 million in financial assistance since 2009, according to Cathy Easley, Trident United Way's vice president of Safety Net Services. "Now it is so much easier to look at a picture of a family in a positive way," Easley said. "With a family in need, it's so important to determine what's missing, specifically, to help them move forward." CharityTracker's bulletin feature enables easy inter-agency communication and minimizes the need for lots of phone calls, she said. "Midland Park Ministries recently sent a bulletin out. They had a woman who makes a living sewing. But her machine was disabled," Easley said. "Within five minutes, she had five offers of a sewing machine." The requirements of one service provider are known to the others, making the delivery of aid more efficient, and the burden on the client less cumbersome, she said. "It builds trust between all of the agencies and churches." Coward and Easley co-administer the CharityTracker program. They work together to offer human needs response training in the Lowcountry's communities, bringing stakeholders together and encouraging the kind of collaboration that might lead to true social and economic restoration, they said. On Johns and Wadmalaw islands, Coward and his colleagues have learned about acute food insecurity, especially among vulnerable populations, such as the elderly, disabled and children. Food insecurity is strongly associated with household income. It is, by definition, a condition that arises from a lack of enough income and other resources. Human needs training there brought people from 13 churches to the table to discuss systemic problems and the need to deliver not only emergency food aid but also nutrition, Coward said. "We recognized a general desire for the Johns Island world to be better, and community leaders are dedicated to improving it, but they're not sure how," Coward said. "So we're using food insecurity as the catalyst to create collaborative behavior across organizational lines." What's desired is long-term change. "It's not about establishing more food pantries but creating systems that move people from instability to stability to self-sustainability," he said. In Goose Creek, the Human Needs Network is consulting with clergy about the need for emergency shelter and transitional housing. Coward said he hopes to help design a small transitional housing pilot that can be expanded and replicated throughout the area. The organization also is a partner in the Ramp It Up program, whose ambitious goal is "to build every needed wheelchair ramp in the Tri-County by the end of 2011." Working with the Disability Resource Center, Operation Home, Trident Area Agency on Aging and a host of volunteers, the collaborative effort has installed 11 ramps since it announced the initiative in April. But success depends not only on collaboration, but on the kind of collaboration that delivers sustainable change, Coward said. And that requires that the community ask itself some difficult questions. "Is our help the right kind of help?" Is it long-lasting, will it empower the powerless? Or is it guilt relief? And change, Coward said, requires an essential ingredient: the right attitude. "People develop an attitude toward people in poverty that's one of frustration and even anger," Coward noted. They blame the victim, he said. They expect him to just work harder. "But do you know their story?" Beginning in November, the Human Needs Network will present the Bridges Out of Poverty program, which models poverty through role playing and puts participants in the shoes of the poor. The program likely will be offered semi-annually and include community leaders as well as average citizens. It's designed to sensitize people about the true cost of poverty and the difficult challenges it presents, he said. It's meant to shatter assumptions and change attitudes. "Assumptions can be poison to restoration," Coward said. CHARLESTON, SC (WCSC) - Several Lowcountry organizations have teamed up to help people in need, impacting the lives of many as they struggle through difficult times. The online database is called Charity Tracker, which allows organizations to collaborate and assist online. "When all of this happened my grades were low and now my grades are back to A's and B's," said 7th grader Karlessia Middleton. That's in part because of much of the help she and her family has received after their home burned down a week before Thanksgiving this past November. "It makes me feel like all is not lost its been hard but there's still some good people in the world," said her mother Annette Green. The Charity Tracker system has become a life changer for those like Annette. Trident United Way and the Human Needs Network have joined forces, and through them, churches and other agencies can also get involved. Green's information is entered into an online database which allows several organizations to respond to her families specific needs. "Charity Tracker has helped us do major levels of communicating it has just changed our response patterns," said Human Needs Network Executive Director Chuck Coward. Coward says the program allows every group helping Green to enter notes and even send out bulletins, giving them a way to keep up with her families needs while getting back on their feet. "Because of this collaborative effort we have been able to continue to work with her and make some connections to the right agencies to continue to help her and her family," Coward said. Annette says it is really made a difference. "I'm grateful for the help we received we still have a long way to go were living day by day the best we can," Green said. Copyright 2011 WCSC. All rights reserved. BEAUFORT, SC (WTOC) - With the economy, more people are needing assistance to make ends meet. That's why organizations and churches are coming together to make sure those who need the help, get it. Volunteers at St. Vincent DePaul Outreach of St. Peter's Catholic Church in Beaufort stay pretty busy, keeping the shelves stocked to help feed those who need it. "We used to see close to 500 families a month and now we are up over 900 and there doesn't really seem to be any end in sight as more people are in need," said Caroline Lutz with St. Vincent DePaul Outreach. While clients come to the food pantry for groceries, volunteers often find out they are in need of other assistance. "Someone could come in and have electric bills and not know what resources are available in the community to help with that," said Lutz. While they're not changing their mission, the food pantry is joining forces with other churches and non-profit organizations in Beaufort County called CSO, Community Services Organization. It's a group Steve Curless with the Help of Beaufort started to help make sure those who need help, get it. "We have so many needy out there that don't know where to go and by bringing everyone together, the churches and everyone know where to send people for different items," said Curless. With 50 churches and organizations on board, they're implementing a new online database called Charity Tracker, which will help organizations help their clients like never before. "When they enter a person's name into the Charity Tracker, which is completely secure, then all of the other organizations on this will be able to see where that person has been helped and where they can send that person to be helped," said Curless. Lutz sees it as another way to serve their clients and help the most people. "We need to be good stuarts of the resources people have entrusted to us so if we can work together and prevent duplication and work more efficiently that's a win, win for everyone," said Lutz. CSO was able to get Charity Tracker up and running thanks to a $6,000 grant from the Coastal Community Foundation. If you would like to get involved with CSO contact Steve Curless at 843.252.2710. The man’s emotional appeal touched the hearts of the elders at the Sunny Hills church in Fullerton, California. A young father of three told of losing his job and seeing his family — including a newborn — evicted from their apartment. The church gave him $700 for temporary housing and car repairs, and the family attended a couple of worship assemblies, elder John Free said. But then the man began approaching a widow in the congregation for money. The elders became more concerned when they learned of the man’s run-ins with a mechanic and a minister at a different church. “We have come to the conclusion that we need to be … more thorough and organized in doing background checks,” Free said. Amid the worst economic downturn since the Great Depression, many churches across the nation report increasing cases of strangers seeking help with food, rent and utility payments. At some congregations, requests for benevolence are up 25 percent or more, a survey by The Christian Chronicle found. “We are also seeing a comparable increase in the number of members needing assistance,” said Patrick Odum, minister of the Northwest church in Chicago. Benevolence ministry leaders say they are eager to feed, clothe and house “the least of these” — as Jesus described the less fortunate in Matthew 25. But determining who is truly needy and not simply greedy can be a challenge. “While you don’t want to see anyone suffer, especially children, you don’t want to waste the Lord’s money either,” said Diane Stephens, office manager at the Livonia, Mich., church. That congregation, west of Detroit, offers the poor gift cards to a supermarket that does not sell cigarettes. Members also support God’s Helping Hands, an area-wide ministry that serves the needy. Stephens and the congregation’s benevolence ministry leader screen people who show up at the church asking for help. “Repeat customers” are a concern for many churches. Flooded with requests for food and clothing, the Gateway church in Pensacola, Fla., works with other churches and agencies to monitor who receives aid. In 19 years in full-time ministry, Roger Woods said he has observed three main categories of people who seek assistance: the scammer, the opportunistic and the truly needy. If a family seeks food or shelter, the University church in Abilene, Texas, provides it. It’s that simple, ministry leader Mel Hailey said. “There are no loopholes for ignoring the poor,” Hailey said. “It is not my responsibility to do a means test. While acknowledging the power of prayer, the Walled Lake church and other congregations have developed policies — and application forms — aimed at screening out those who prey on churches’ goodwill. Typically, these forms require people to provide documentation such as a pay stub, driver’s license or utility bill to verify their address. “People give money and food with the expectation that it is given to genuinely needy people,” said Steve Mahoney, minister of the Newark, Del., church. That church’s car care ministry relies on a form designed to verify that recipients make less than $23,000 a year, secretary Carol Sizemore said. The congregation does not turn away anyone requesting food but limits the use of its pantry to once a month. Back in California, the Sunny Hills elders are developing a new application form for benevolence and planning to partner with other charitable organizations to help identify those in need. “While we want to be helpful to people in need, especially children who may suffer due to the choices of their parents, we do not want to reinforce irresponsible choices,” Free said. GO TO CHURCH, GET HELP? Some churches ask that people expressing a need attend church or participate in a Bible study before receiving help. Other ministry leaders caution against tying physical aid to spiritual requirements. In Fort Worth, Texas, the food bank at the Western Hills church opens from 4 to 7 p.m. each Thursday. Last fall, the church started offering a Bible study at 3 p.m. before the pantry opens, minister Ron Buch said. While not a requirement to receive aid, showing up for the study allows clients to claim an early place in line. “We have had two baptisms thus far result from that effort,” Buch said. Carl Jemison Jr., a retired chemist in charge of benevolence at the Overland Park, Kan., church, oversees a pantry stocked with frozen meat and vegetables. He distributes furniture, appliances and other items, from bicycles to infant car seats. “There are ways of avoiding being scammed and avoiding being used for personal gain,” said Jemison, who works in the ministry with his wife, Brenda. Most people in real need don’t mind telling their story, he said. If they balk at simple questions or repeatedly say, “I’m not lying,” they probably are not being completely truthful, he said. “Scammers want money,” he said. “People who need something tend to be more specific,” although some want the church’s money for food so they can spend theirs on vices. For Jemison, the reward is in showing Christ’s love. “People that we help often say, ‘I have been waiting for a message from God,’” he said. “I tell them, "The message is already here. It’s the church. The body of Christ is the answer that is available with a phone call." Lowndes County residents attempting to abuse the system will quickly learn to try their scams elsewhere. United Way of Lowndes County officially launched the use of Charity Tracker after a one-year trial period with the software. The program allows United Way and its agencies to track help given to families and individuals as not to duplicate their services. "After using other tracking programs and trying to develop a system locally, United Way introduced the software to our human services agencies on a trial basis," United Way Executive Director Jan Ballard said. "The program allows our agencies to work together to make the best use of their resources and to ensure that those who are in real need are served, rather than those who would abuse the system," Ballard continued. United Way agencies utilizing the program include the Community Resource Connection, CONTACT Helpline, Helping Hands and The Salvation Army. "The software has made it much easier to weed out the people trying to abuse the system from the individuals who really need the help," Community Resource Connection Project Coordinator Jennifer Garrard said. Garrard said the misuse of the agency''s resources and the duplication of services decreased nearly 50 percent since the Community Resource Connection began using the software. "Sadly, there are people who attempt to scam multiple charities for assistance," Ballard said. "Agencies that use Charity Tracker can quickly find out if someone has received help from another organization, for what purpose and for how much." For more information about United Way of Lowndes County and the services it funds, please visit http://www.unitedwaylowndescounty.org or call 662-328-0943.